Updated maps once a year, FREE* for three years. If you own a Nissan with NissanConnect*, you qualify for our Nissan MapCare™ program with a free map update every year. Just take your vehicle to your Nissan dealer and they'll take care of it - allowing you to plan your perfect route and find food, cash, hotels and more along the way. *Offer available on the whole Nissan range embedded with NissanConnect (with the exception of LEAF, 370Z and LCV range except eNV200 and Navara) produced from 1st May 2016 onwards (1st June 2016 for Juke and 1st November 2016 for Navara). Vehicles that are in stock but were produced before 1st May 2016 (1st June 2016 for Juke and 1st November 2016 for Navara) are excluded from this offer." The road network is constantly evolving, so it pays to have the latest, most accurate maps. Visit our dedicated maps store to find all the maps you'll ever need! I have a Nissan equipped with a Navigation system. Am I eligible to Nissan MapCare™ program? The Nissan MapCare™ program offer is available on the whole Nissan range embedded with NissanConnect (with the exception of 370Z and LCV range except eNV200 and Navara) produced from 1st May 2016 onwards (1st June 2016 for Juke and 1st November 2016 for Navara). Vehicles that are in stock but were produced before 1st May 2016 (1st June 2016 for Juke and 1st November 2016 for Navara) are excluded from this offer. I am not eligible to Nissan MapCare™ program, how can I order a map update ? You are able to pay for a Single Map update and there are 2 options. 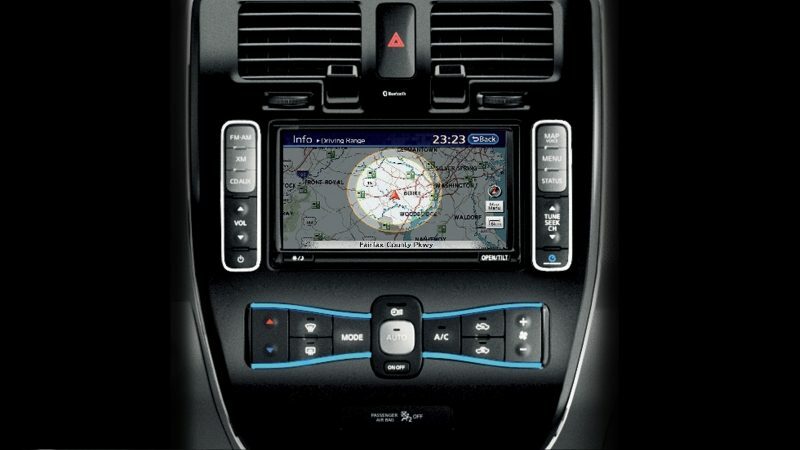 You can visit our Nissan webstore but you will need to install the map in your navigation. It is an easy operation and procedure is available with each product. You can also order directly to your dealer who can complete the update for you. Can I update the Nissan MapCare™ system by myself? As part of the Nissan MapCare™ program, the update is done by the dealer. First he has to ensure that the vehicle is eligible for the program and will proceed accordingly. The process is completely free of charge. How many times can I get an update for my navigation system with this Nissan MapCare™ program? On average 15% of the roads and point of interests are changing on a yearly base. Usually single map updates are quite expensive, Nissan is taking care of this for you for 4 years. Who will inform me when a new update is available within Nissan MapCare™ program? Your dealer will contact you when the new update is available. Please ensure you are registered in the YOU+Nissan portal (Nissan customer’s portal) with all your contact details. It is also possible to proactively ask your dealer if a new update is available for your vehicle. Is Nissan addressing a real need with its Nissan MapCare™ program? On average 15 % of the roads and point of interests are changing on a yearly base. Usually single map updates are quite expensive, Nissan is taking care of this for you for 4 years. The program entitlement is based on the vehicle’s VIN. Therefore, the program is automatically transferred to the new owner, which increases the value of your car (within the limit of 3 map updates until the end of the vehicle’s 4th year). I bought a used car with NissanConnect. How can I ensure that Nissan MapCare™ program is applicable for my vehicle ? You will need to ask to your dealer if the VIN of your vehicle is eligible and how many updates you can have. Your dealer will make sure that you will be put in the system for new updates. If I have missed an update of Nissan MapCare™ program, can I delayed the program for one year ? No, if you have missed a map update, it won't be possible to claim an additional year.